March 24-25, 2014, Dakar, Senegal. This project was supported by Bill and Melinda Gates Foundation. The goal was to identify and convene key scholars and religious leaders who had both opinions for and against immunization. IIPC was able to work with this diverse and different group of people to issue Dakar declaration which was accepted and signed off by all the participants to the conference. The International conference on “Vaccination and Religions: perspectives and challenges” – Dakar, Senegal in the period from 24-25 March, 2014 was hosted by Ministry of Health, HE the President of Senegal was the guest of honor and patronage of the event. Shaikh Abdallah Bin Bayyah, the founder of the Global Centre for Renewal and Guidance was the main facilitator of the conference. 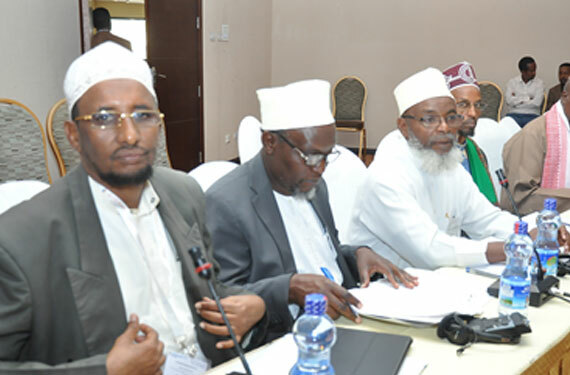 This conference brought together more than 80 African prominent religious leaders ((primarily from West Africa) with health professionals and actors from Ministries of health, WHO, UNICEF and academia to identify the challenges associated with vaccination in resistant and hard-to-reach communities in Africa. The participants engaged in a series of intensive deliberations and consultative sessions about Vaccination and Religion. The Dakar Declaration address many of religious leaders concerns and support the immunization efforts in Africa. The summit confirmed the findings in the research; attendees agreed that chief among the reasons for vaccine resistance is misinformation about the safety of vaccines and their compliance with religious edicts. The summit therefore culminated with the Dakar Declaration on Vaccination, a key convention adopted by traditional and religious scholars and leaders for supporting immunization efforts across Africa in religious and culturally sensitive areas. The Declaration provided examples of texts from the Qur’an to show that vaccines were acceptable (and even required) by Islam. The document also provided scientific and factual data highlighting evidence that vaccines are medically safe and necessary to mitigate the millions of vaccine-preventable deaths. Organization’s Ministerial and Stakeholder’s Conference on Immunization in Africa. 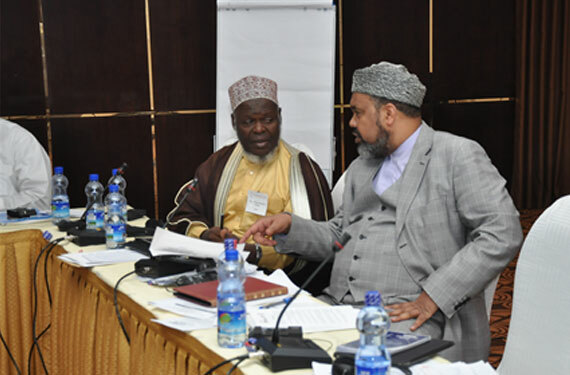 The day-long forum was attended by 7 medical and social services professionals and 36 religious scholars and leaders, including 6 Christian participants, from 11 African countries. To further identify strategies to increase vaccine acceptance by religious and culturally sensitive communities. To further develop and enhance the capacities and capabilities of traditional and religious leaders for becoming actively engaged advocates of immunization and stimulate communities’ demand for vaccines and immunization coverage against infectious diseases. To develop coordinated messaging and visible solidarity between governments and traditional and religious scholars and leaders on immunization. To further support endeavors which foster country ownership and which advocate for sustainable immunization demand creation at the community level. To dispel fears of vaccine safety and common misconceptions with concrete, concise facts about the composition of vaccines and their production and distribution. The adoption of the Dakar Declaration was secured by additional religious leaders and scholars, especially by those whose regions and areas of influence were not represented at the Dakar Summit in 2014. The Dakar Declaration on Vaccination is a key convention adopted by traditional and religious scholars and leaders for supporting immunization efforts across Africa in religious and culturally sensitive areas. The forum provides a call to action, encouraging signatories to engage actively in strategizing and implementing solutions, including catalyzing communities’ demand for vaccinations against infectious diseases, and for improving immunization coverages. Foundation for Peace and Development in Abuja, Nigeria on October 17-18, 2016. 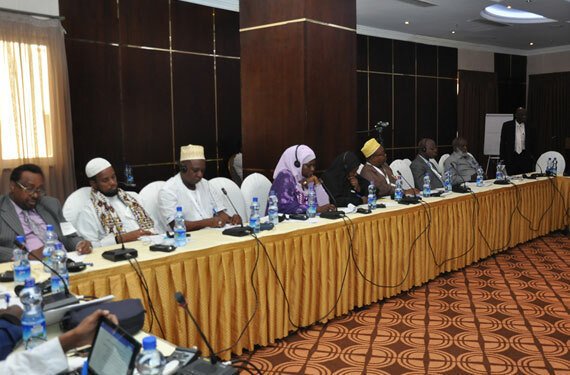 After an intensive series of deliberations and consultative sessions, a network of 65 prominent African Muslim scholars from Cameroon, CAR, Chad, Mali, Niger, Nigeria, Senegal, UK and USA makes Abuja declaration in support of efforts to counter violent extremism in every part of Africa, and the world. Responding to and Preventing Violent Extremism. Sh. Shaban Ramdhan Mubajje, Mufti of Uganda and head of Uganda Muslim Supreme Council was the Chief Host of the summit and the H.E. Deputy Prime Minister of Uganda and Minister of East African Affairs, Al-Haj Dr. Kirunda Kivejinja was the Guest of Honour representing the government of Uganda. 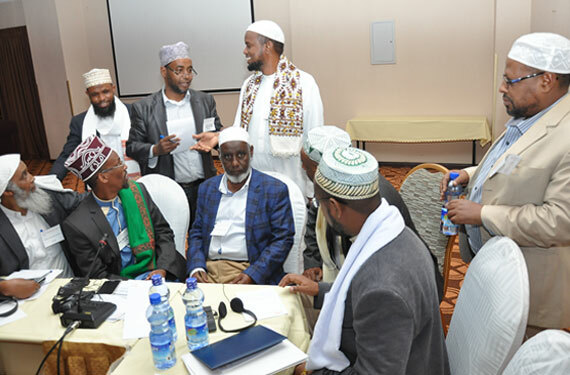 The summit brought together more than 37 African Muslim government officials and religious leaders from Ethiopia, Kenya, Uganda, Tanzania, Djibouti, Somalia, South Africa, Sudan, Congo Kinshasa, Madagascar, UK and USA. Along with professionals from IIPC, UNDP, Faith Associate (UK) and donors. The participants deliberated on Abuja declaration and discussed the UNDP solution framework focusing on “community resilience”. They issued “Kampala Regional Summit Statement: Affirmation of Abuja Declaration on Countering and Preventing Violent Extremism”, in addition to action plan to implement the declaration. The Zawiya Tijaniyya religious group of Tivaouane, under the leadership of the Khalifa General of the Tidianes, Serigne Babacar Sy Mansour, and in partnership with IIPC, organized a conference under the theme of “Religion, Peace, and Prosperity in Africa” on November 10 and 11, 2018 at the Convention Center in Tivaouane, Senegal. The event was organized as a regional conference and part of the activities of the 2018 Mawlid Nabi, which is the celebration of the birth of Prophet Muhammad (Peace be upon him). The conference provided an opportunity to showcase the contribution of Senegal and its religious authorities in consolidating peace and prosperity through the spirit of dialogue and peaceful coexistence of religions and to compare it with the experience of other religious leaders from all over the world, who will be attending the conference.